Packaging Dimension (กxยxส) 8x14x8.5 ซม. 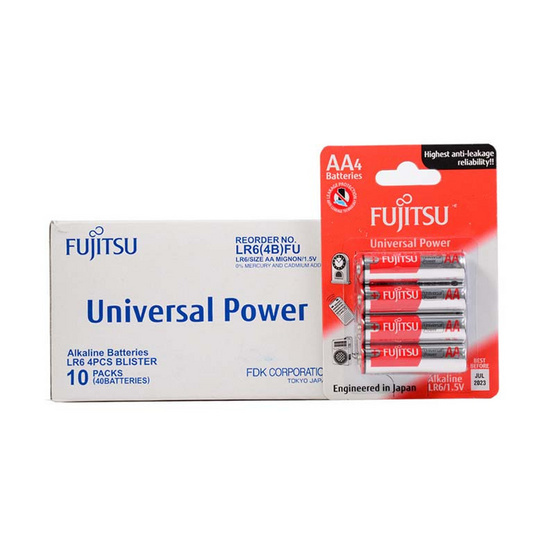 The alkaline Universal Power performs especially well in devices with constant and lower energy needs, such as wall clocks, remote controls, radios or flashlights. It can be safely stored and ready for using for up to 7 years.